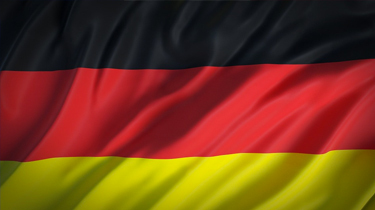 Link Global are perfectly placed to handle your Germany contractor accounting. Structure your work arrangements with confidence using our internationally renowned accounting solutions. From early planning advice to emergency payroll for imminent work, and every step in between, Link Global provides expert contractor accounting solutions for Germany and worldwide. Link Global Management are perfectly placed to handle your Germany contractor accounting. Structure your work arrangements with confidence using our internationally renowned accounting solutions. From early planning advice to emergency payroll for imminent work, and every step in between, Link Global Management provides expert contractor accounting solutions for Germany and worldwide. If you're not from the EU/EEA or Switzerland, you'll need a work permit linked to your residence status in Germany. If you’re coming to work in general employment (a job that does not require you to be highly skilled or highly educated), you’ll need a residence permit, and will be eligible if the position can’t be filled by a worker from the EU/EEA or Switzerland. However Blue Cards were introduced in 2012. To apply for a EU Blue Card you need: a university degree from a German university or equivalent from a foreign university; and a guaranteed job with an income of €46,000 EUR (€36,192 in shortage occupations). This gives you: residence for four years (or duration of employment contract) and permanent residency after 33 months (21 months if you have achieved level B1 in German language proficiency). There are also permits for highly skilled workers earning €84,600+, who can apply for a settlement permit, entitling you ¬– and your family members – to live and work in Germany indefinitely (if you were to come to Germany on a regular residence permit, you would have to be resident for five years before applying for a settlement permit). You need to have a specific job offer and the permission of the Federal Employment Agency. Link Global Management deducts tax and social security at source on a PAYE basis, and payments are made to the relevant authorities. You can reduce this taxable amount by offsetting some business expenses. Social security for employees: you pay a % of your gross income, deducted from your salary before you receive it. In most cases your employer has to contribute, too, so each of you pay the equivalent of about 20% of your gross income. This depends on how much you earn, with upper limits on contributions. Most self-employed workers are not compulsorily insured with the state insurance and can decide to either join it or take out private insurance. They have to pay contributions themselves, although at a lower rate.